Speaker Shirin Sharmin Chaudhury has met with the British Prime Minister Theresa May during her visit to the UK. On Wednesday, the speaker visited the 10, Downing Street, the official residence of the British PM, to join the ‘Women MPs of the World’ conference, said a Bangladesh Embassy source in London. Both the leaders met during the conference, added the embassy official. 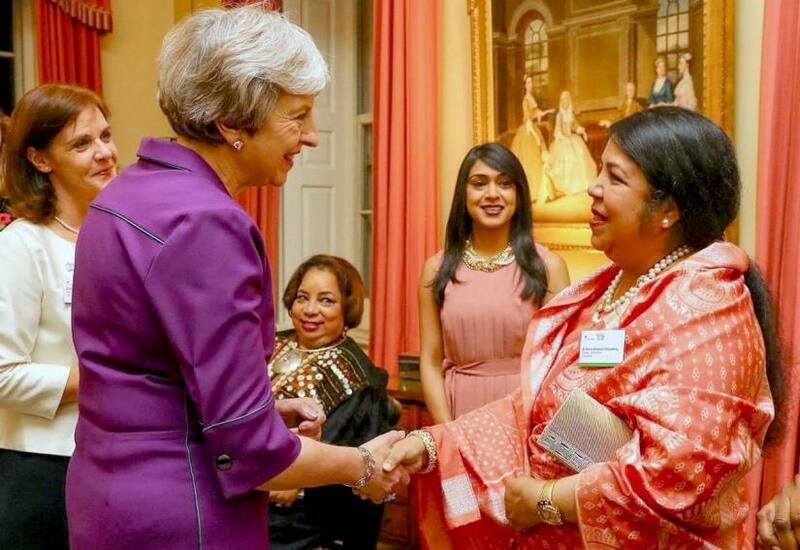 On Thursday night, a number of photos of the event were released by the official Twitter account of the British PM which showed speaker Chaudhury exchanging greetings with May. The conference was arranged to celebrate 100 years of women member of parliaments.